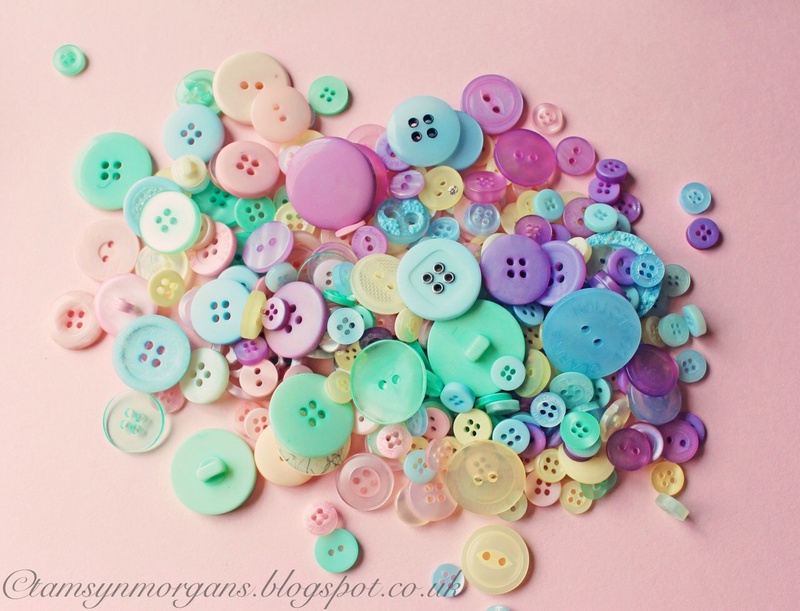 I wanted to show you the crafts activity that I did with the girls at my daughters party a couple of weeks ago, because it’s a fab, easy craft that can be done on a rainy afternoon in the summer holidays! 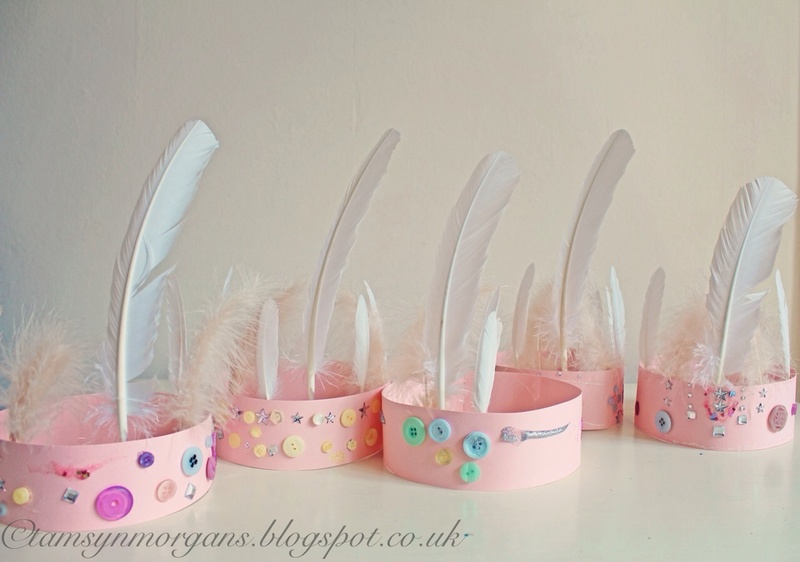 Obviously I went for a girls, glittery theme for these crowns, but just by swapping the colours and using pom poms or stickers it would also be great to do with boys. 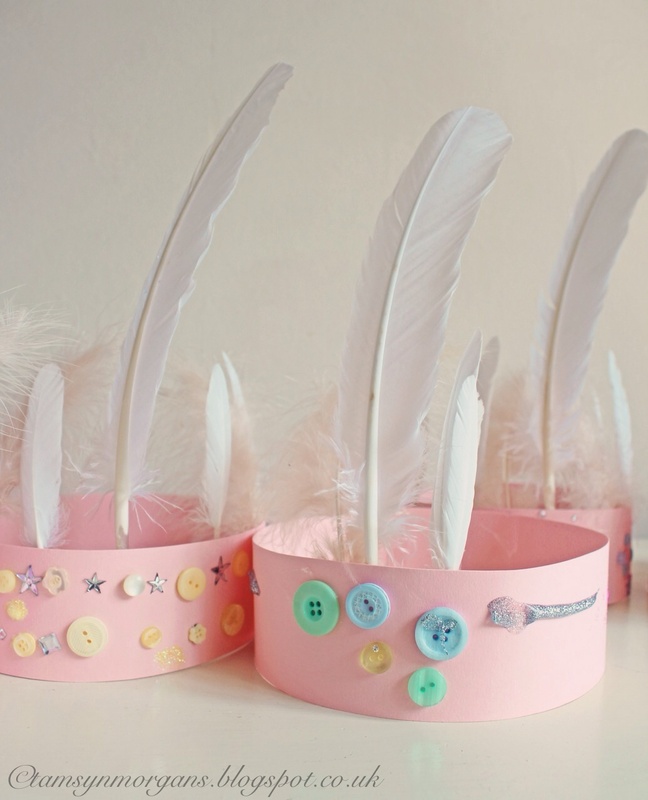 I might make a pirate themed crown with my son over the holidays with parrot bright feathers! I won’t insult your intelligence by giving step by step instructions, as it’s so easy, but here’s a summary of what I did. 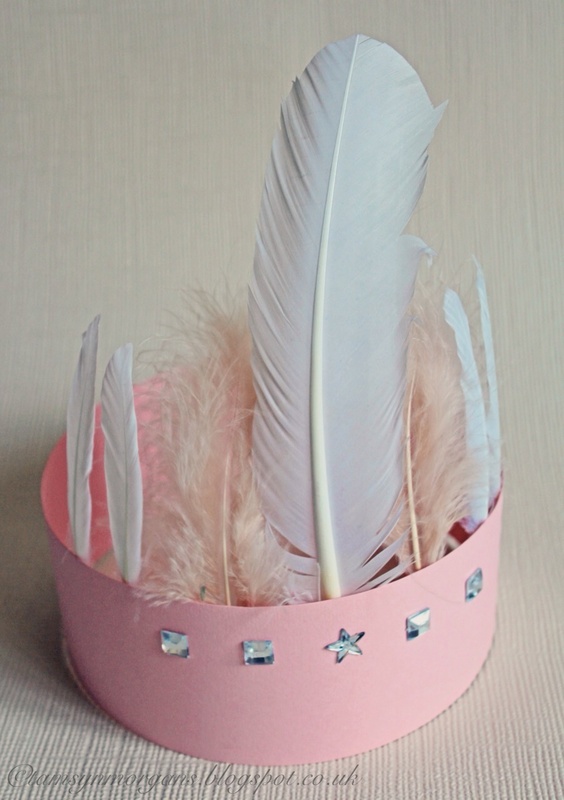 I made a crown the night before so I could show them what we were making. You need some card, cut into strips. I cut ours about 3 inches deep, so they have plenty of room to stick their bling! 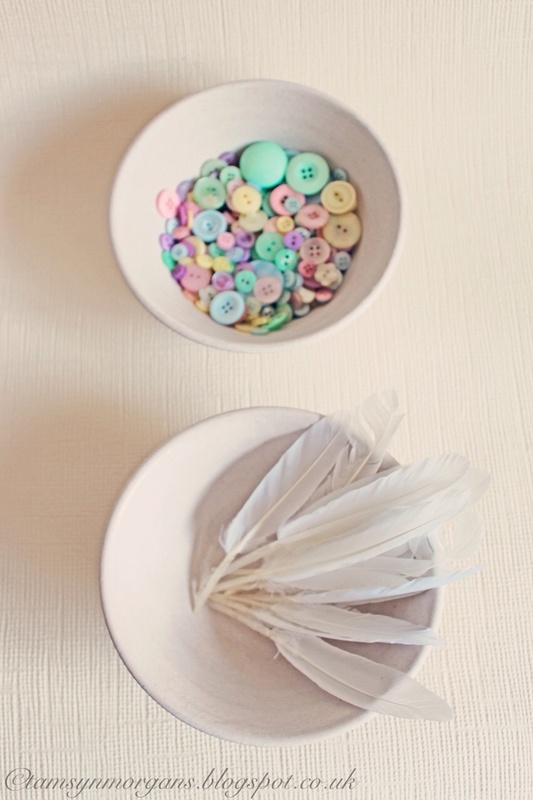 Hobbycraft do packs of feathers, I got white ones for the party but they do lovely brightly coloured ones too. I also got stick on jewels, a pack of buttons, and glitter paint. The Pound shop do brilliant big bags of sequins, pom poms and glitter paper, perfect for this. The children placed the feathers where they wanted them to go, on their strip of card, and I then taped them in place. They placed their buttons where they wanted to go, and I actually used a glue gun to stick them on, but PVA would work equally well, it just takes longer to dry. Then I let them help themselves to glitter paint, glitter and pva (The Early Learning Centre do glow in the dark paint which would be fab if you were doing a halloween party!). Once they were (almost) dry we taped the ends of the card together to complete the crown. They seemed pretty pleased with the finished results! 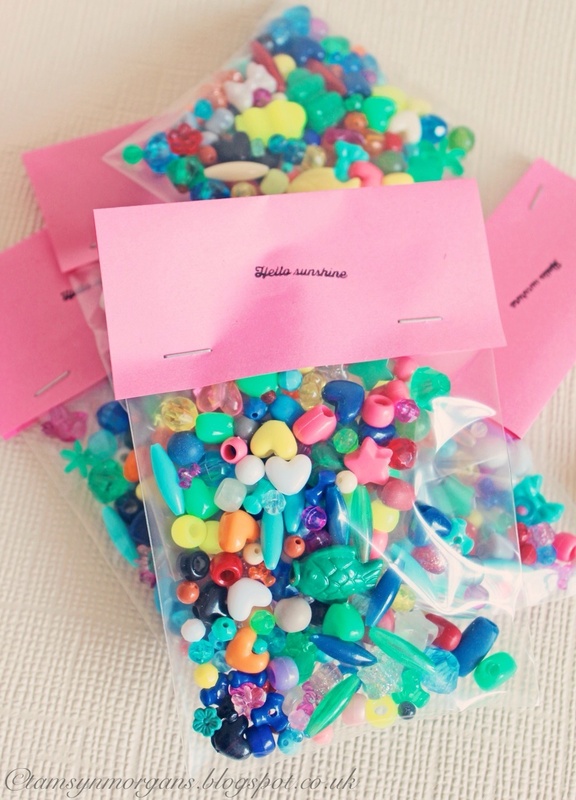 I wanted to put some crafty bits in the party bags, but wanted to keep the cost down, so I got a big bag of beads and placed a few in a plastic envelope for each child. 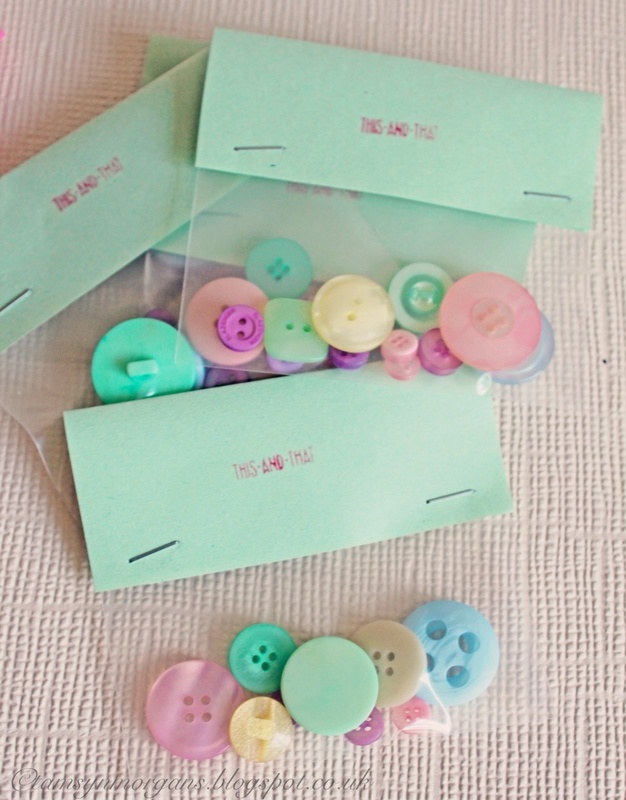 I did the same with buttons, with the idea that they could use them for making jewellery or sticking on cards. I’ve recently registered with Bloglovin, so have a nifty icon on the right if you fancy following the blog that way, please do spread the word!